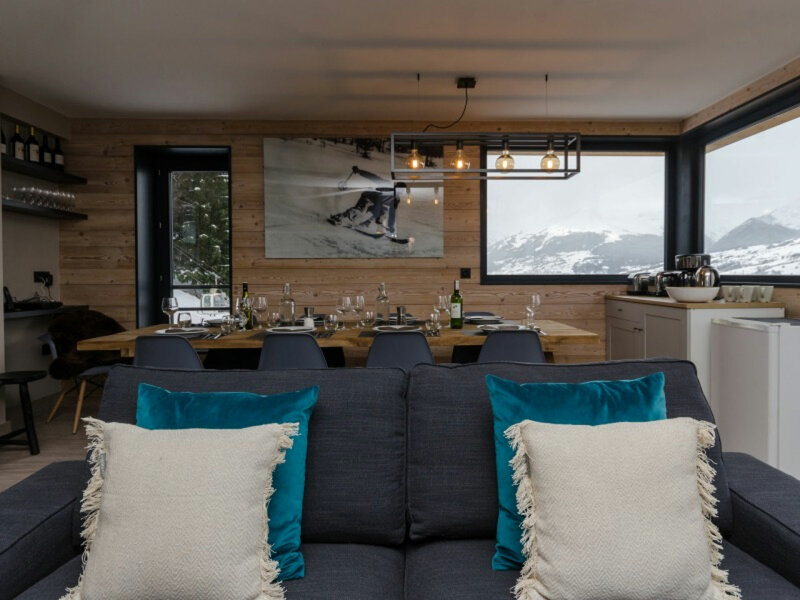 We're delighted to launch Chalet Grizzli, a stunning new-build chalet for season 2017/18. 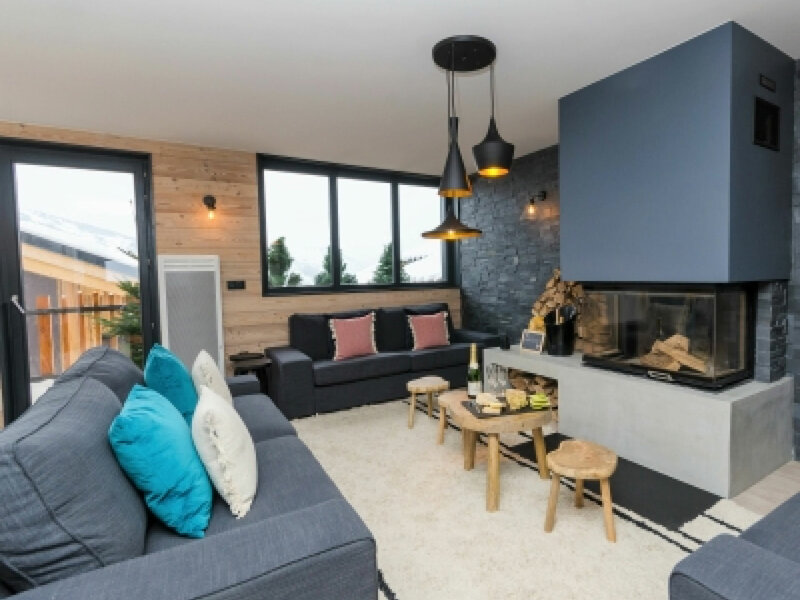 This beautiful, boutique new-build chalet is part of an exclusive development in Montchavin and just steps away from the bubble lift. 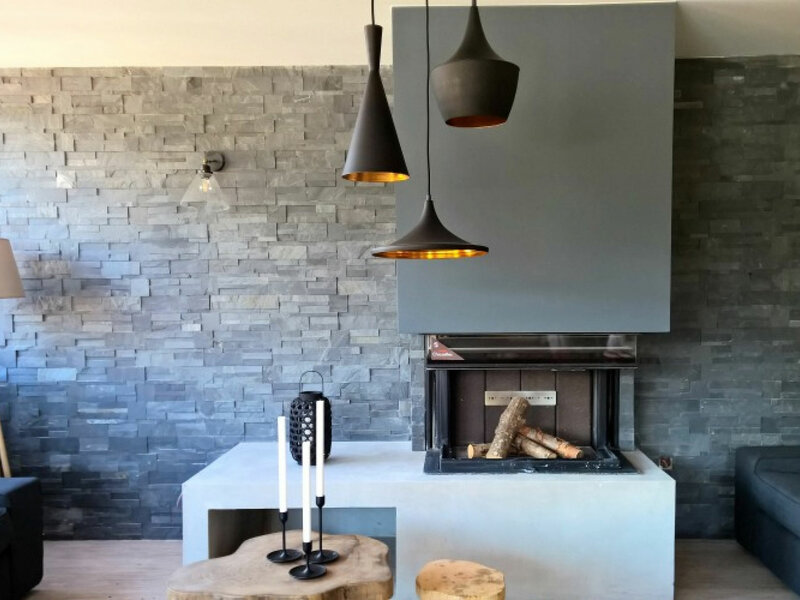 Chalet Grizzli is beautifully designed over 4 floors, combining a stylish blend of local stone, alpine timber and luxurious decor to create a chic yet contemporary feel. 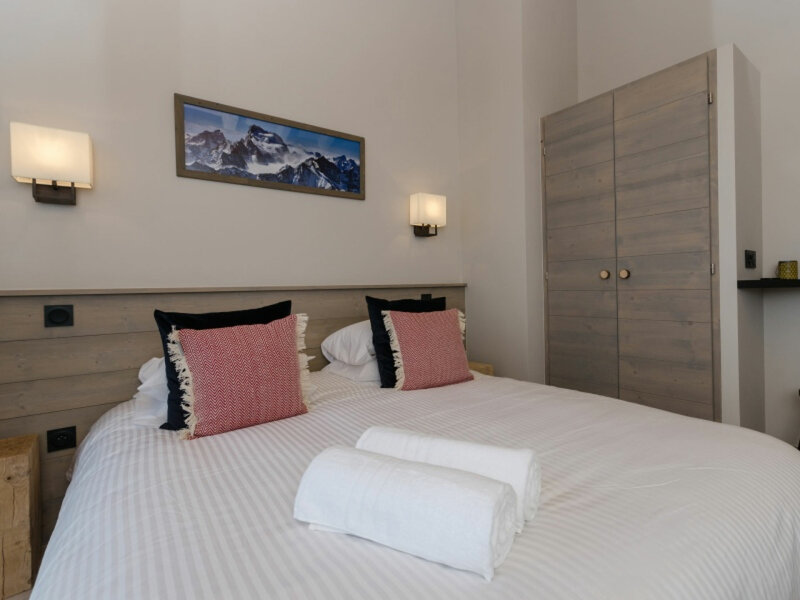 Each of the 5 bedrooms have a view of Mont Blanc and the ensuite bathrooms are bright and modern. 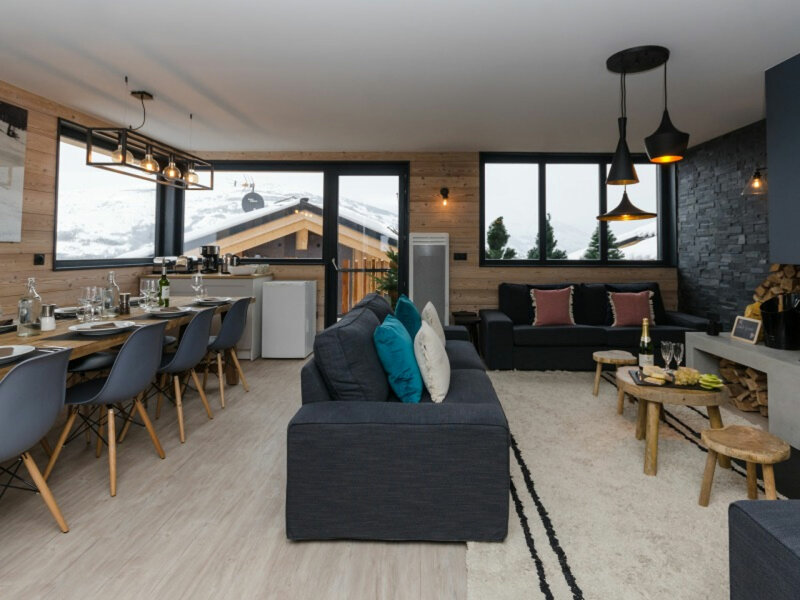 On the third floor, there is a spacious kitchen, dining and lounge area, which features a full width balcony with great views, perfect for catching the sunset after a day's skiing. 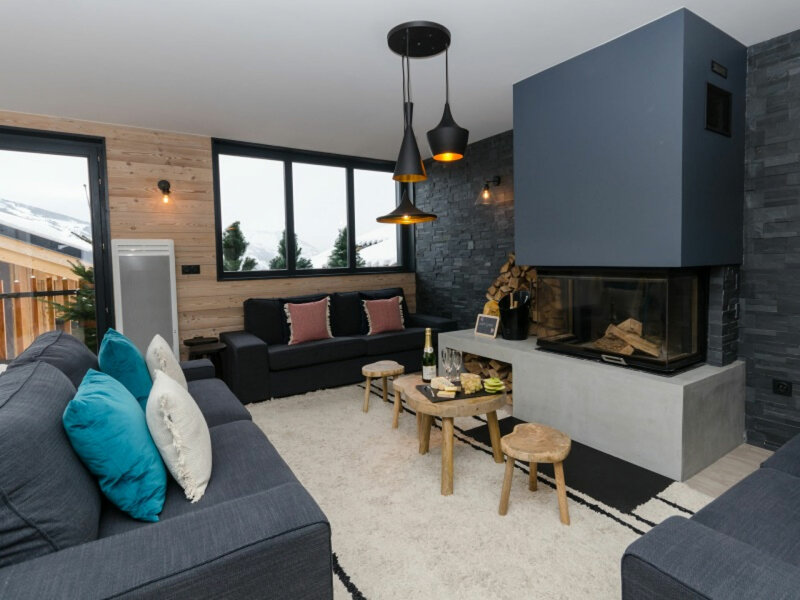 There are plenty of comfortable sofas arranged around the fireplace. 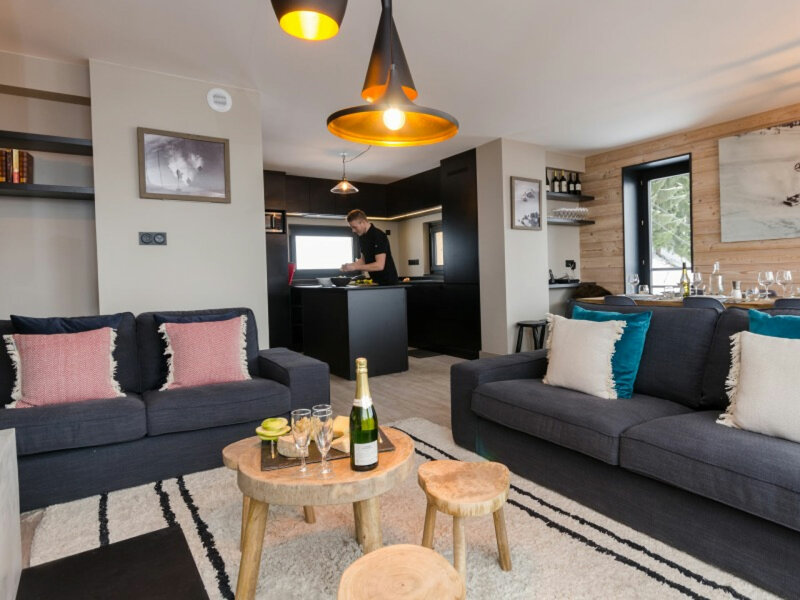 Chalet Grizzli has an outdoor hot tub on the roof terrace, where you can enjoy a glass of bubbly and gaze out at the stars. Guests in the spring time can enjoy spending time in the private garden at the back of the chalet. 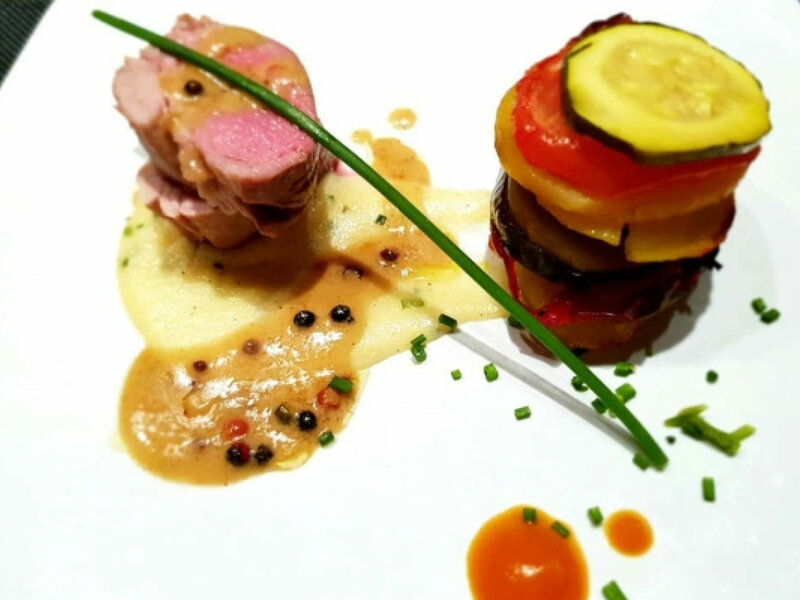 We are the only company in Montchavin La-Plagne to only employ professional chefs with restaurant experience, and over the last 10 years, we have had the pleasure of employing chefs who have worked with Michelin starred chefs like Raymond Blanc; appeared on Masterchef the Professionals, and others that worked in fine dining establishments across the world. 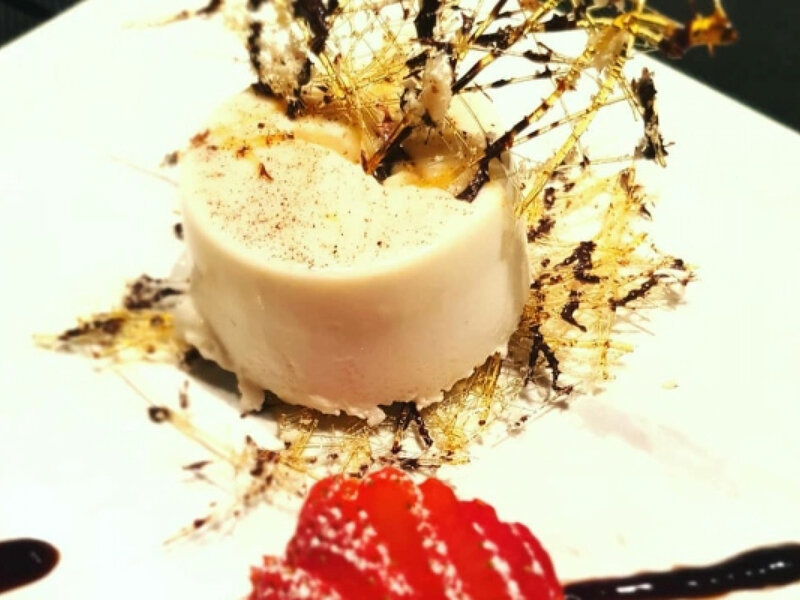 We provide restaurant quality, gourmet dining at affordable prices - and quantities to satisfy hungry skiers and snowboarders. 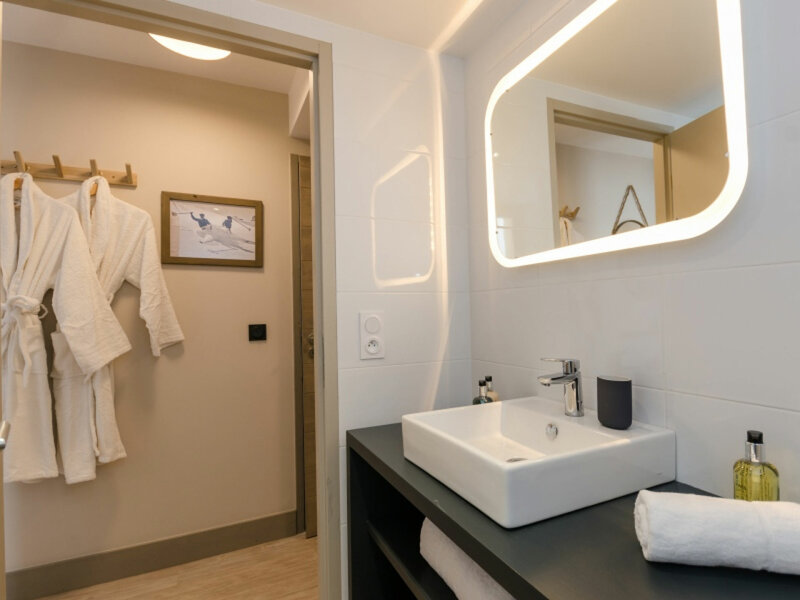 We are an independent, family-run business and we make sure we go the extra mile to ensure our guests have a great holiday. 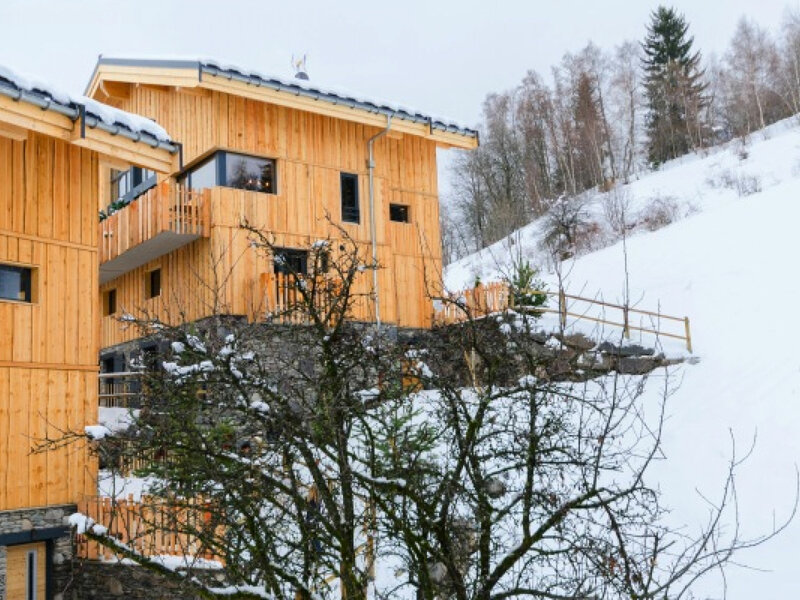 We were nominated as 'Best UK Chalet Company' in the 2014 World Snow Awards, organised by the Daily Telegraph; we get a high number of returning guests and staff, and we organise all your ski holiday extras, such as transfers; lift passes, ski school and ski hire, so that you just have to arrive and enjoy your holiday, safe in the knowledge that it has all been expertly sorted. 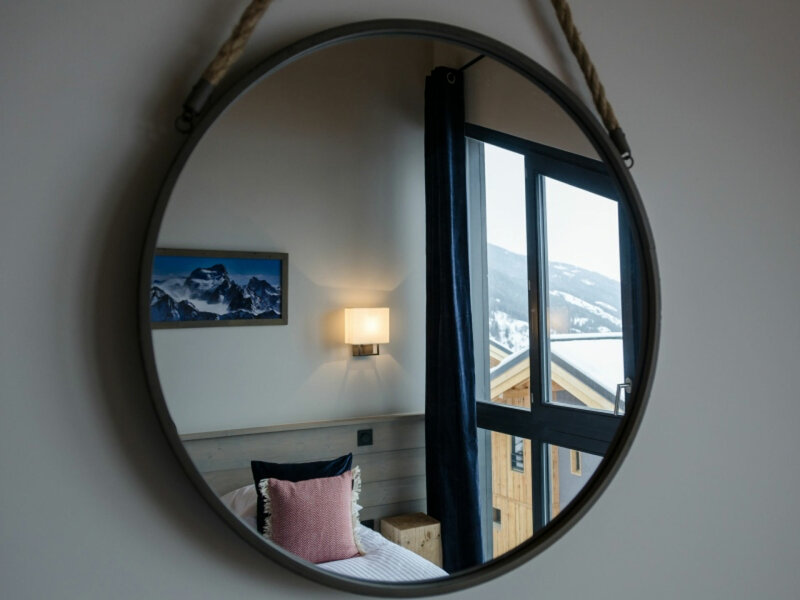 Chalet Grizzli is a new, exclusive development and right next to the 'Les Coches' bubble out of Montchavin, which goes directly to ski school meeting points. 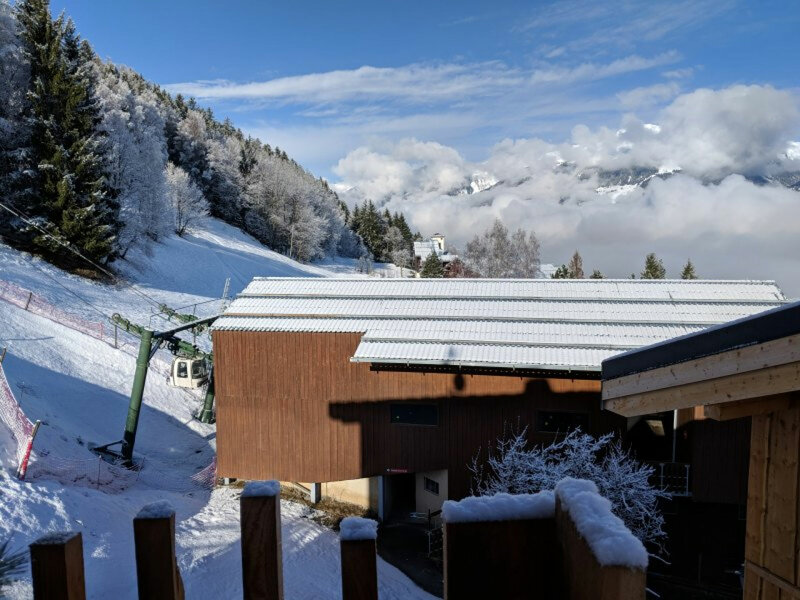 You then take the 'Lac Noir' bubble or ski to the 'Plan Bois' chairlift out of Les Coches - from the top, you either ski to the Vanoise Express into Les Arcs, or take the Bijolin to access La Plagne. 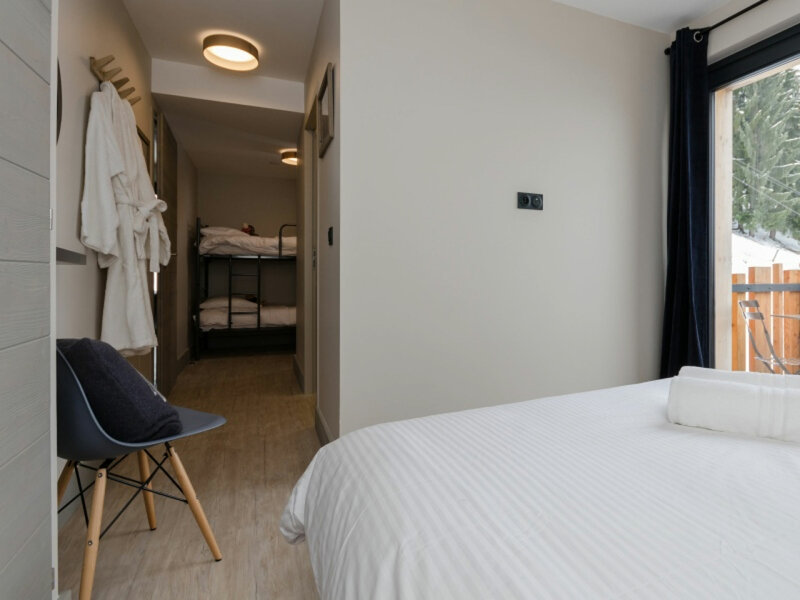 Chalet |Grizzli features 4 double/twin rooms and 1 family room sleeping 4 (double/twin + bunkbeds). Have fun, you're on holiday! 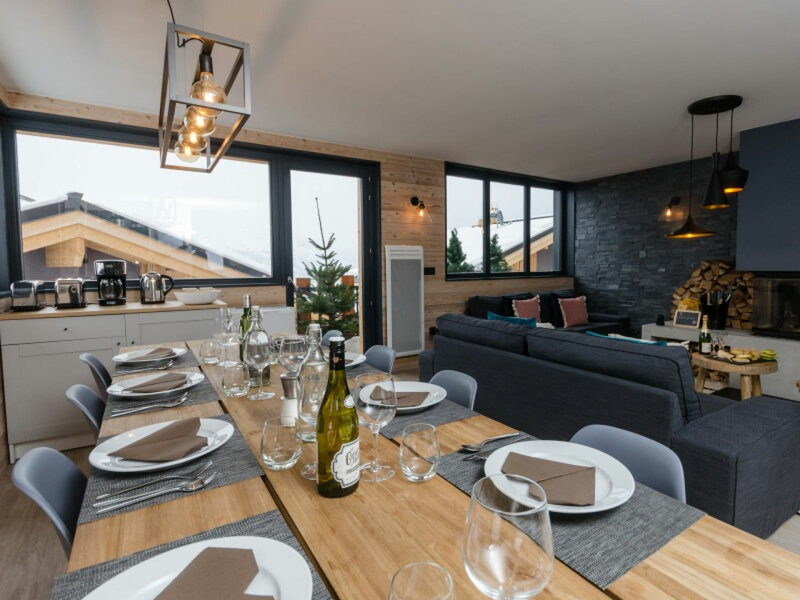 Chalet Grizzli is offered by Alpine365, a catered chalet company in La Plagne. It is offered on a fully catered basis with a professional, restaurant-trained chef and host during the winter months. We offer breakfast; afternoon tea and a 4-course dinner with carefully selected bottled wines. 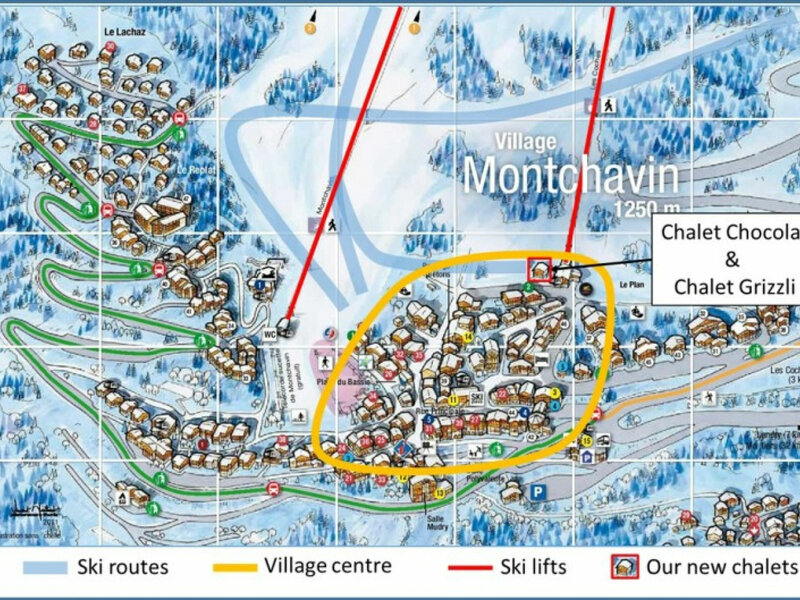 We can arrange your lift passes, ski lessons, airport transfers, childcare and ski hire. 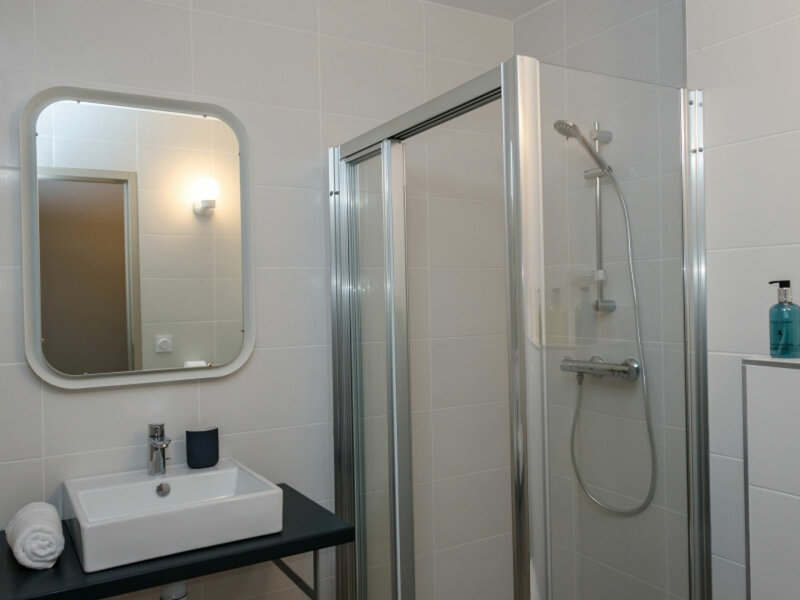 The price includes use of hot tub, bedlinens, bathrobes & towels. 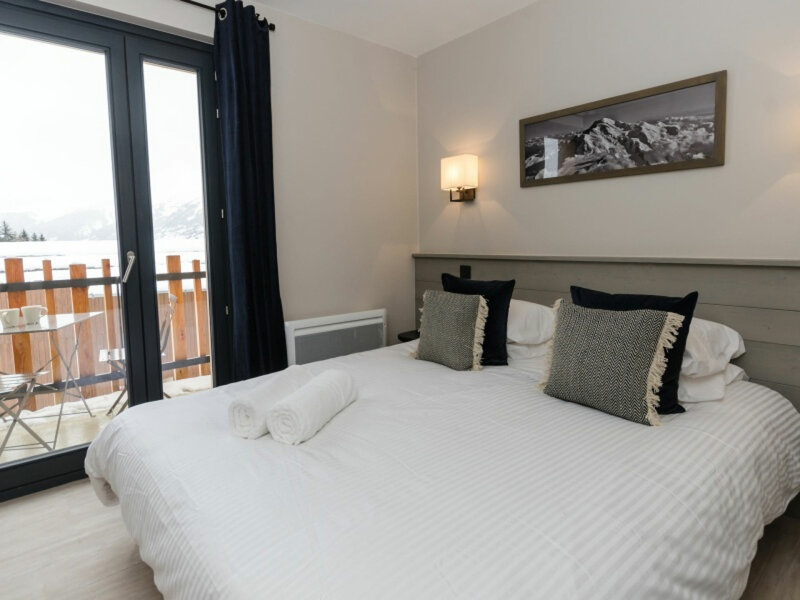 The prices shown are based on a per adult basis, as the chalet can be booked on a bed by bed basis or sole occupancy. Children (2-12yrs) are approx 15% lower. 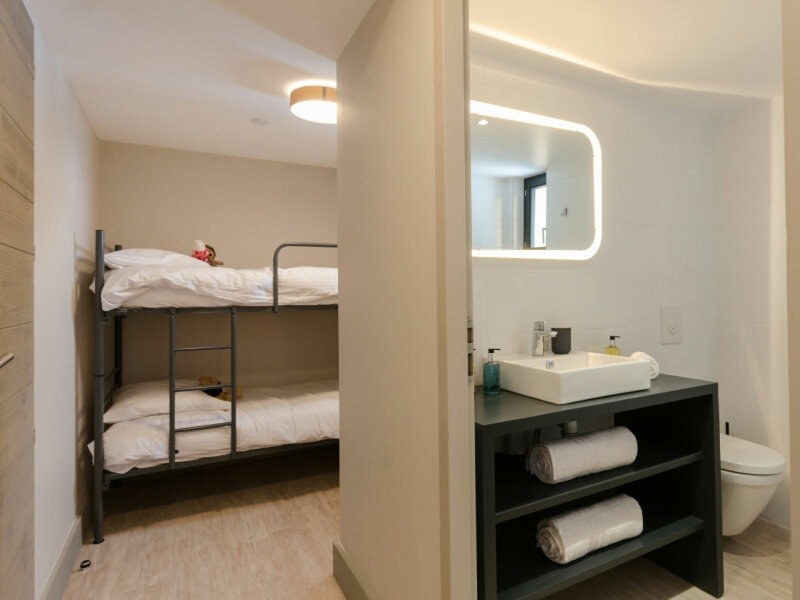 Infants under 2yrs are charged at Â£50pp. Single supplements may apply. Please enquire for a quote.